The audiovisual Guide to 68 hotspots in the Irish Republic and Northern Ireland. 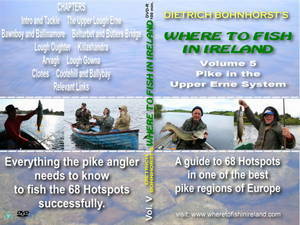 Everything the pike angler has to know to fish the 68 Hotspots successfully. 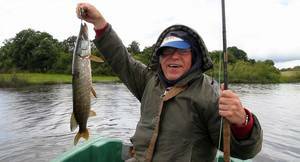 In addition, and at no extra cost, sweeping vistas, multi-layered inlays and maps of each area fished-including-yes-including towns and villages to stay while enjoying the fishing. One of the anglers in this DVD is named Rudy Trautmann-you couldn't make it up, could you!! Looking at these fellers could you ever imagine them dressed in a pair of perma pressed slacks, I think not.